One Owner. Dealer maintained and serviced. Fully inspected. Full remaining warranty through Jaguar. 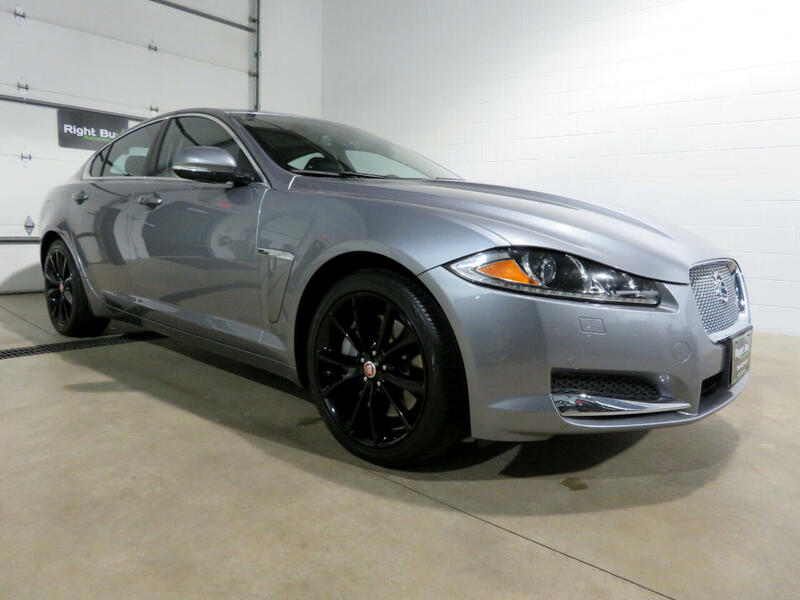 This Jaguar XF is the Portfolio Model. Some of the features included are a 340HP 3.0L supercharged V6 w/ 8 speed automatic transmission; leather 3-stage heated/cooled front seats; 10-way front seats w/8-way electric movements; 4-way power lumbar adjustment and memory function w/ 2 settings for driver seat; dual zone front automatic climate control; heated steering wheel; remote keyless entry w/Integrated key transmitter Illuminated entry and panic button; proximity key for doors and push button start; HomeLink; cruise control; auto dimming rear view mirror; front and rear parking sensors; blind spot monitor; Meridian 825W surround sound system: in control touch w/ 8" touchscreen dynamic volume control Bluetooth connectivity and audio streaming iPod integration HD radio, USB and navigation system w/SD card; backup camera; 19 inch gloss black alloy wheels; HID headlights; rain sensing wipers; rear spoiler; heated outside mirrors; all wheel drive and much more. Every vehicle at Right Buy comes with a full inspection report, CarFax vehicle history report, affordable extended warranty options and low rate financing options. Set an appointment to view the vehicle in our heated indoor show room. 12 MONTH 12K MILE EXTENDED WARRANTY AVAILABLE FOR $1,525 or 3 YEAR 36K MILES FOR $1,845. Message: Thought you might be interested in this 2015 Jaguar XF.